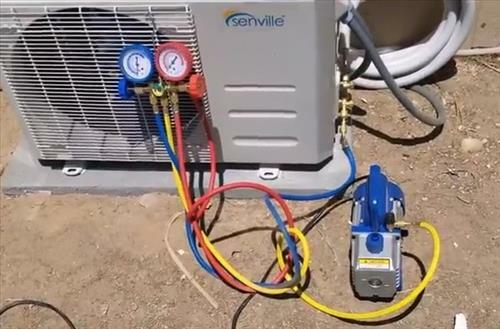 Vacuum pumps are a necessary part of HVAC to get a system into a vacuum and even test for leaks. The most common use is to pump down a line-set and then let it sit to see if there are any leaks. A/C system require a vacuum to work correctly which a good vacuum pump can do. 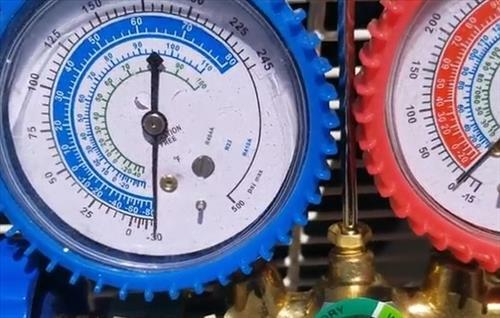 When setup with gauges a system should stay in a negative pressure or there is a leak which needs to be fixed. While there is many good vacuum pumps most are expensive units built for technicians who need a unit that will last a long time. A home do-it-yourself type of person or part time HVAC tech will not need an expensive unit and can use a budget model and a much lower cost. Here is a list of a few budget vacuum pumps that work good for part time occasional jobs. 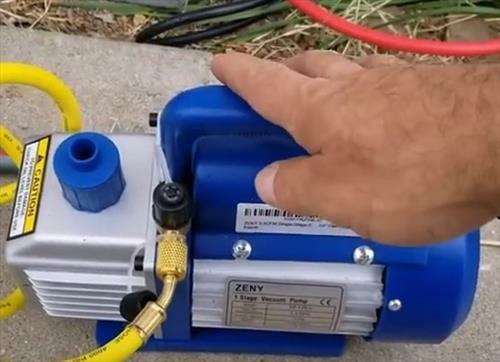 This unit from Zeny is a low-cost unit I have used many times mainly in DIY Mini Split installs. It works well and pumps an A/C unit down quickly and so far I have had no problems with it. I have made some videos of it pumping down DIY Mini Split installs which it did with no problems. See bottom of the page. It does come with some cheap oil which can be used but is a good idea to use better oil. Overall it s a good unit and worth a look for those on a budget. 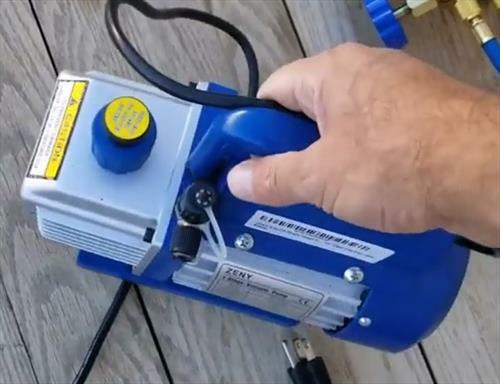 The Kozyvacu TA350 is another low-cost pump that works well for the occasional job. It is a 120 volt 1/4 HP unit that will pump down most residential air conditioners. It also can be used for many other small jobs such as vehicle A/C systems. Like the Zeny unit it will not hold up to daily ware and tear of a full time HVAC tech but is a good unit for the home DIYer. The above vacuum pumps are some budget units that will work well for the occasional job. They also can be used as a backup or left running and not worry about it being taken. There are many good units available with the above pumps simply ones I have used or seen working. Of course a more expensive professional pump is ideal but not necessary in many scenarios.